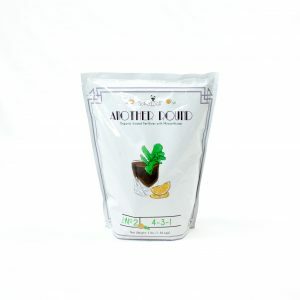 These dry powder organic nutrients for cannabis plants in the flower phase of growth are loaded with quality ingredients — bat guano, neem seed meal, kelp meal, molasses, magnesium sulfate and volcanic ash. During the flowering phase of growing, apply recommended amount of Bloom Booze to top of soil, spread around the container, and water until it drains thoroughly, and then water again. 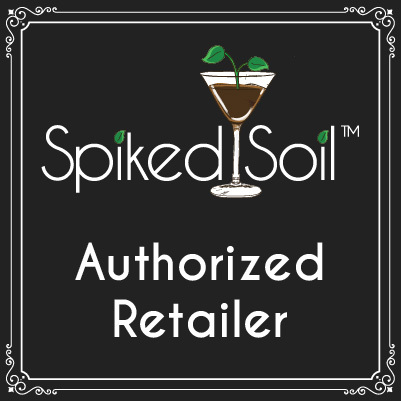 It’s organic, easy to use, and your cannabis plants will thrive with these dry powder organic nutrients from Spiked Soil. See recommended cannabis application rates below. 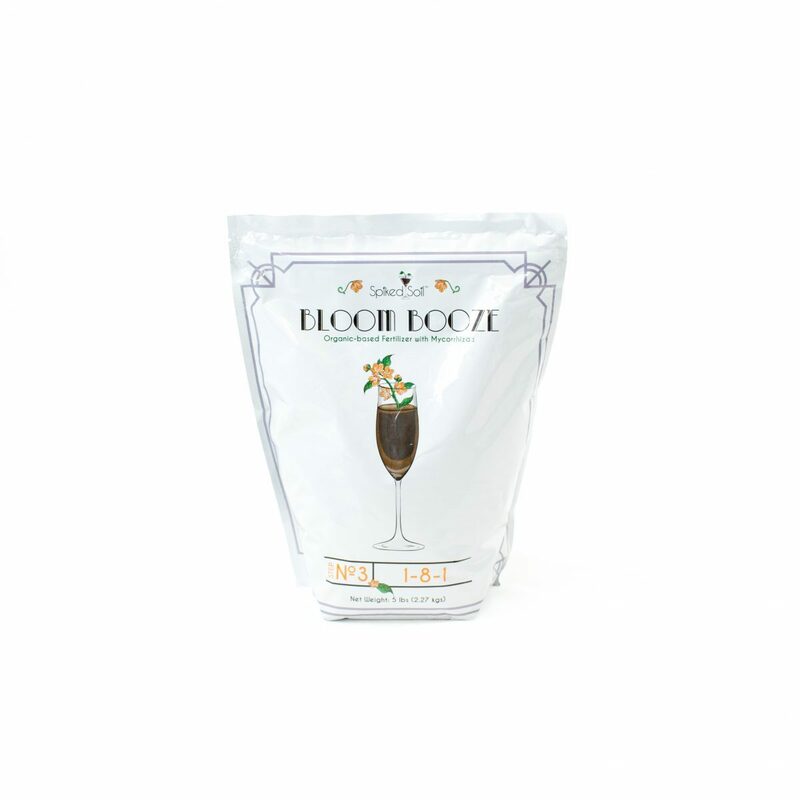 Bloom Booze is an organic cannabis nutrient (1 – 8 – 1) created by Spiked Soil with mychorrhizae fungi, a non-plant food ingredient that feeds your living soil with beneficial soil organisms. Add Bloom Booze to cannabis plants in the flowering phase of growth every 10 – 14 days. If you are flowering your cannabis plants for around 2 months, we recommend 4 applications. What does 1 – 8 – 1 mean?